Call or Text Listing Agent - Sue Cramer - The Real Estate Center of Spearfish 605-645-2391 for more information. Looking for a high visibility place for your business or shop. Perfect opportunity to live in this 3 bedroom updated house on 3.63 acres just off exit 32 with visibility from I-90 and have your business right next door. Covenant free. Shared well! 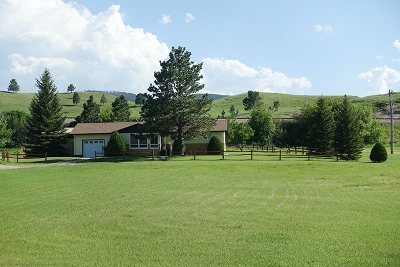 Minutes from downtown Sturgis. Great view from the living room. Kitchen has been completely updated and includes an additional wall of cabinets for extra storage. Buyer is responsible for verifying all information on this MLS document.